High Quality, Non magnetic having uniform fine grain. Uniform hardness, no hard spots. 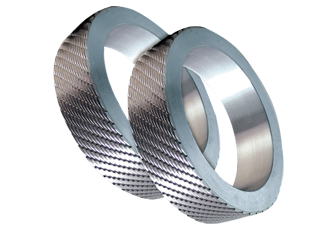 Manufactured from selected prime Stainless Steel Bars which are tested to be of stringent standards. Zenith Segments is a blend of latest technology. Ultrasonically tested for any remote internal flow or no homogeneity. No brittleness, therefore no mixing with tea. 'GK' group is a pionner in making solid Stainless Steel Forged CTC Segments since 1971. ZENITH Segments are being used by large number of Tea Planters and CTC Machine manufacturers as Original Equipment. More and more Tea Planters are switching over to 'ZENITH' Segments as they are found to be of highest quality conforming to IS:8748/1978. 'ZENITH' segments have uniform fine grained selected prime stainless steel bars which are tested for excellent mechanical properties. 'ZENITH' Segments are a blend of latest technology and expertise and a product of proven efficiency. Every piece goes through stringent Quality Control methods to ensure cent percent reliability. 'ZENITH' Segments are also ultrasonically non-homogeneity to further ensure each and every piece free from internal defects. 'ZENITH' Segments have impact resistance properties and higher tensile strength ensure longer life cycle. ZENITH Segments are normally supplied with plain faces but can also be supplied with jig drilled pin holes and pins at extra cost. Normally 5mm pins are supplied but 6 mm pins can also be supplied if requested.